Blackrock Mountain: Blackrock Depths – Now Open! The journey into Blackrock Mountain begins with a stop in Blackrock Depths. Like the Innkeeper, dwarves are generally some of the most jovial, spirited individuals in all of Azeroth. The denizens of Blackrock Depths however are dwarves of a different sort. Find out if you’ve got what it takes to survive Blackrock Depths! The sooty stone halls of Blackrock Depths form a dim, sprawling city whose subterranean streets are filled with Dark Iron dwarves. The Dark Irons are enslaved to the will of Ragnaros the Firelord, and that’s a pretty time-consuming job. When they’re not slaving away, however, they make time for fun! Brawls in the Grim Guzzler, brawls in the Ring of Law . . . really just brawling everywhere they feel like brawling. 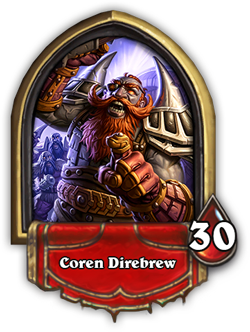 The Grim Guzzler is home to all sorts of eccentric characters, and Coren Direbrew is no exception. He and his totally reasonable and not rambunctious friends will require you to throw down if you want to journey deeper into the Mountain! Besting Coren and his raucous band of dwarves will reward you with two copies of the Grim Patron minion. You’d never think it, but the Dark Iron Dwarves have some pretty strong ideas about their version of Blackrock justice. Uther might not agree with them, but hey, this isn’t Uther-rock Depths! Emerge victorious from this trial by combat and two copies of the Rogue spell Gang Up will be yours to keep! 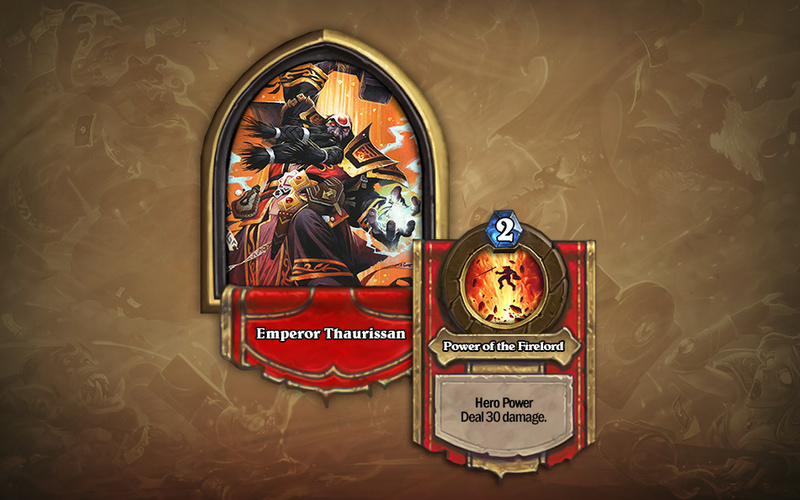 Emperor Thaurissan rules in title alone. He, like the other Dark Iron Dwarves, serves at the whim of the Firelord. That’s unfortunate because the benefits are just awful—no vacation time whatsoever. Thaurissan’s glad you’re stopping by for a visit; fighting you will let him take his mind off a lifetime of servitude. Should you dethrone the Emperor, he’ll bestow upon you two copies of the Priest spell Resurrect. 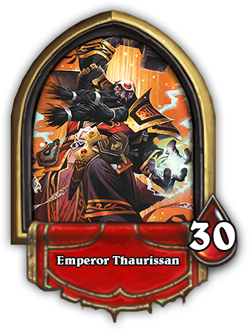 After proving your strength to the Dark Iron dwarves, Emperor Thaurissan will join your forces and add his Legendary card to your collection! Two Class Challenges will also become available to players who have defeated all of Blackrock Depth’s bosses on Normal difficulty. Class challenges feature pre-built decks, and will put your skills with those specific classes to the test! Blackrock Depths has challenges in store for Hunters and Mages. 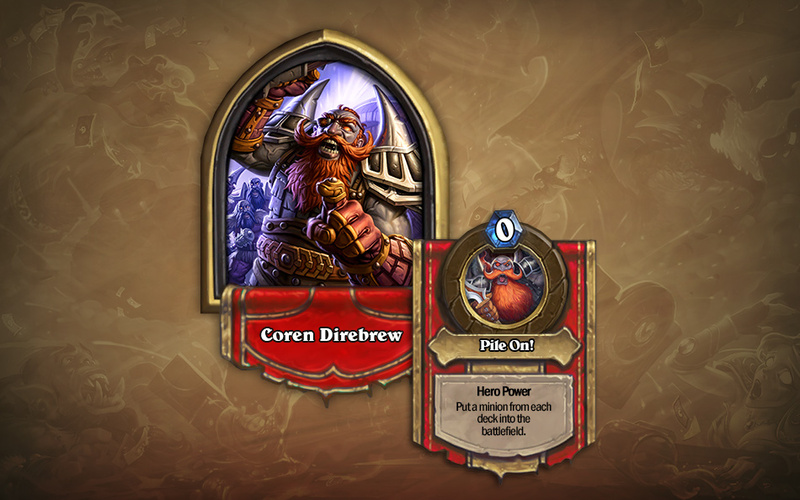 Hunters who are able to hunt down Coren Direbrew will gain access to two copies of Quick Shot. 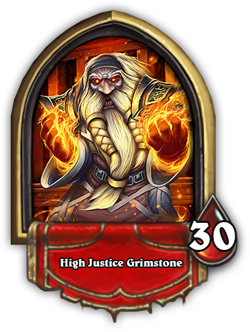 Mages clever enough to blast away High Justice Grimstone will earn two copies of Dragon’s Breath for their collections. Do you crave a more challenging experience? If so, try out Heroic difficulty! Blackrock Depth’s Heroic Mode is available upon completing the wing on Normal. 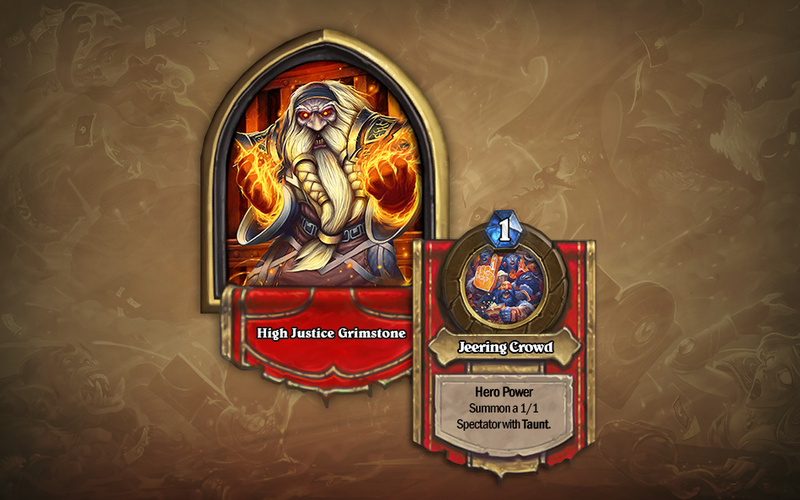 Heroic foes are far more difficult to best than their Normal counterparts, and often require tailor-made decks. Kick off your adventure into Blackrock Mountain and delve into Blackrock Depths today!